Mr. Qiu Da Cheng was born in the City of Yi Bin, Sichuan on Jan 29, 1945. Since the age of 11 he had been studying Piano and Guzheng at professional schools.In 1979, Mr. Qiu was admitted to the master’s degree program at Central Conservatory of Music. Upon graduatin he became China’s first holder of a master’s degree in Guzheng. As a student he had studied under legendary Guzheng masters such as Mrs. Tian Geng Shi, Mr. Cao Dong Fu and Mr. Cao Zheng. For a long period he held teaching position at China Conserva-tory of Music where he became Assocciate Dean of Instrument Department. He also served as visiting professor at Central Con-servatory of Music, Military Art College and Tian Jin Conservatory of Music.Mr. Qiu devoted his entire life to Guzheng music education. 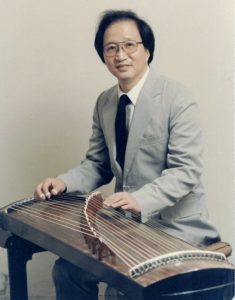 A number of his former students have become today’s most promising young Guzheng players, many of whom have been awarded at various national and international competitions such as the ART Cup Chinese Instrument Contest, the “Ah-Bing’s 100th Birthday” Traditional Chinese Instruments Contest, the “Fu Li Tong” Traditional Chinese Instrument Contest and the “Eastern Cup” Guzheng Contest. He has also received numerous “Outstanding Teacher” awards for his achievements on both Guzheng and community educational services. Together with master Cao Zheng he pioneered Guzheng education for children in Beijing. His lifetime passion and commitment to Guzheng education has brought numerous outstanding Guzheng performers to the world, who carry on his duty, making contributions to the cultural exchange of eastern and western music in many places of the world.Mr. 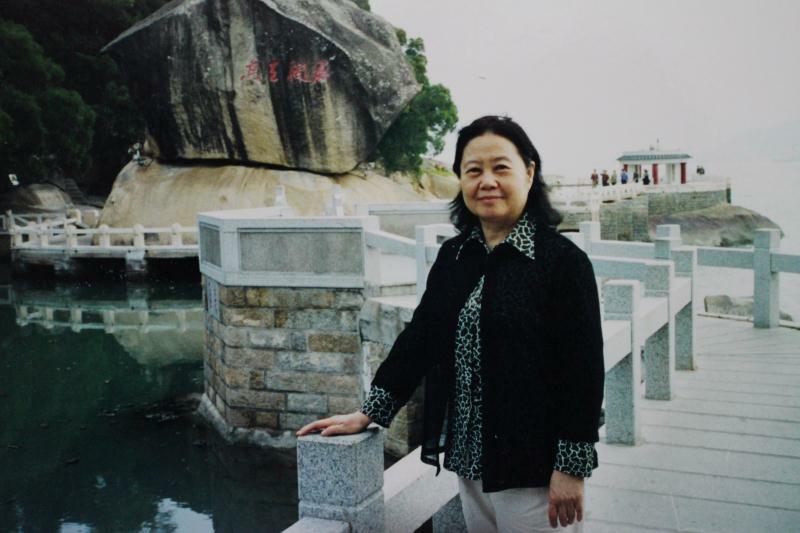 Qiu had composed and adapted many well-known guzheng pieces. To name a few, Rush to the Farmer’s Market, Purse Embroidering, Busy Spring, and Spring River in Moonlight for Pipa & Guzheng duet are most enjoyed by audience and performers alike. A member of “Chinese Musician’s Association” he was invited by the prestigious organization to write China’s first guzheng certification book. Other influential publications include Guzheng Music Guide, The Comparison of Qi & Lu Guzheng Music, Notable Guzheng Fundamental Training Issues, The Comparison on Guzheng Schools, among them, Guzheng Music Guide has been reprinted many times. In recordings, he had published Jianchang’s Moon CD, Shu Lai DVD series, which he co-authored with his wife, Prof. Xu Xiao Lin. As a perfomer Mr. Qiu’s style was steady, profound, sprightly and smooth. He was frequently invited to perform in Germany, Japan, Singapore and Hong Kong. On Sunday, December 7, 1997, after continuously taught for 8 hours, Mr. Qiu, who was then 52, suddenly collapsed. He was diagnosed with encephalorrhagia and passed away two days later. Despite his departure, Mr. Qiu’s mission continues to flourish.